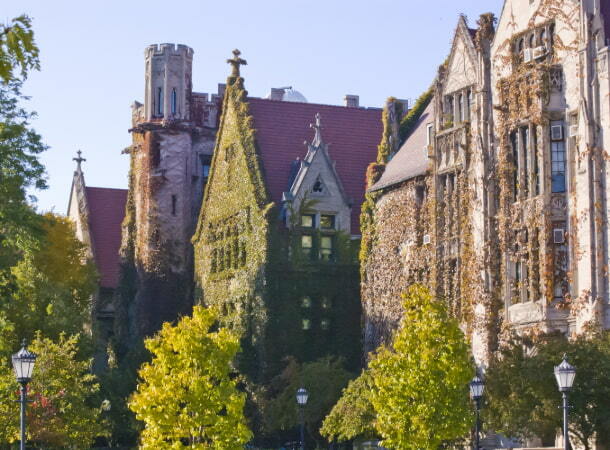 Are you taking a group of students to tour the University of Chicago? Let National Charter Bus handle the travel plans to the campus, around Chicago, or anywhere else on the itinerary! Our team of reservation specialists is available around the clock to pair you with the perfect bus or custom-assembled fleet for your needs. With the transportation already taken care of, your group will have more time to explore U of C! Call 312-392-0239 today to get started! Located in historical, lakeside Hyde Park, the University of Chicago has been a landmark of the Chicago landscape since 1890. This private research university is the alma mater for 98 Nobel laureates, making it a university with one of the highest concentrations of Nobel laureates in the world. 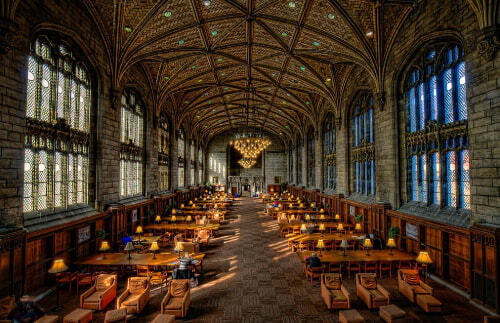 Besides a prestigious academic program, the UChicago campus boasts a vibrant student life. On average, 6,500 students make up the student body, and on-campus housing is guaranteed for each undergraduate for all four years. These factors create a tight-knit student community with unique, time-honored traditions. From a week-long Festival of the Arts to a campus-wide scavenger hunt of world record-breaking proportions, there are many reasons prospective students aspire to be a part of the University of Chicago family. For newcomers and Chicago residents alike, navigating the city with a large group is a daunting task. While UChicago is located along major bus routes, traversing public transportation can be stressful for out-of-towners, let alone with a large group of students and chaperones. To ensure no one is left behind, we recommend renting a minibus for your travels around the city. The perfect vehicle for maneuvering through crowded city streets, this compact vehicle is easy to maneuver through narrow lanes and traffic jams. Even if your driver runs into an unavoidable pile-up, with everyone in the same vehicle, you don’t need to worry about losing anyone in traffic. Whether your Chicago transportation needs start and end at the university, or require service from the O’Hare airport or nearby cities like Indianapolis, a private bus rental is the best way to ensure your college tour group reaches every destination efficiently, safely, and comfortably. 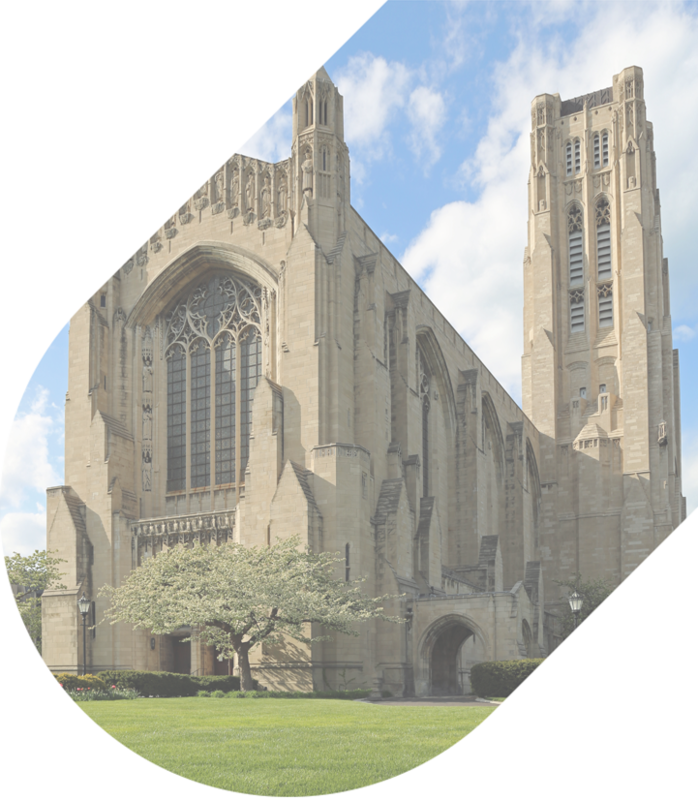 The University of Chicago offers plenty of opportunities for prospective students, teachers, parents, and chaperones to learn more about the school. Services include information sessions, campus tours, class visits, overnight visits, and a thrice-annual open house. Each informational event provides a new form of insight into what it’s like to be a Phoenix, so students seriously considering applying to UChicago should take advantage of as many of these resources as possible. Visitors can join an admissions counselor for an overview of academics, the application process, and financial aid. Learn about student life from a current UChicago student as they guide you around the campus’ most distinctive landmarks. Information sessions and tours are free and available to students of all grades and ages. Student guides are available for tours Mondays through Fridays at 9am and 2pm, Saturdays at 10am and 12pm, and Sundays at 2pm between March and November. Throughout the rest of the year, tour times are limited, so be sure to check availability before you start planning your trip. The admissions office welcomes individual walk-ins, but asks large groups to reserve a tour in advance to ensure proper accommodations. Tours depart from Rosenwald Hall, near the center of campus. On-street and metered parking is very limited on campus, so have your bus driver drop off your tour group along S. University Avenue, park in either the North Campus or Medical Center parking decks, and retrieve you when the tour concludes. Your driver can handle all the navigation, scheduling, and parking plans for you while you take in this beautiful historic campus. Additionally, visitors can gain a more in-depth perspective on campus life by shadowing a current student and spending the night on campus. Tuesdays and Thursdays in October and November, visiting seniors can eat dinner in a dining hall with their student host, stay overnight in a residence hall, and visit a class the next morning. No advance course registration is necessary to sit in on a class, but large groups may want to call the admissions office in advance, contact desired professors, and stagger their attendance times as not to overwhelm UChicago’s small class and dorm sizes. 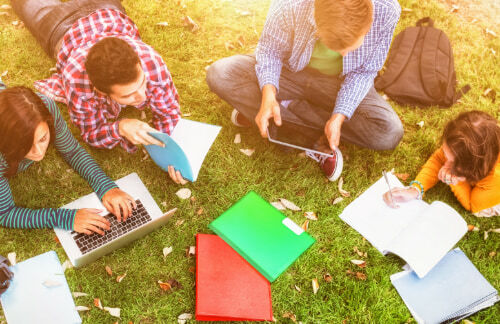 The best way to streamline your prospective students’ stay is by handling the transportation logistics beforehand. A charter bus or minibus rental from National Charter Bus will have plenty of storage compartments to secure your group’s personal belongings, so you won’t have to worry about configuring luggage on the way to campus. Bring a sleeping bag, toiletries, pillow, change of clothing, and something to sleep in, and we’ll make sure your ride to UChicago is easy and stress-free. In addition to regular campus visits throughout the year, the University of Chicago offers expanded informational sessions during its three yearly open houses. Experience faculty-taught model classes, student-led campus tours, and presentations about residential living, study-abroad programs, and pre-professional curriculums. At the end of the day, prospective students and their families are invited to join faculty, staff, and students in a refreshing social hour. Planning to travel from out-of-state to attend an open house? We recommend a full-sized charter bus for large groups who require transportation over long distances. We service cities across the nation, from Los Angeles to Houston to New York City. With enough room to accommodate up to 56-passengers per bus, and amenities like WiFi, power outlets, televisions with DVD players, and reclining seats, your college tour group will arrive at the open house refreshed and ready to explore the University of Chicago. If you’re not staying within walking distance of the University of Chicago, there’s no need to worry. National Charter bus can provide a reliable ride plan for your entire trip to the university and through the city. Your charter bus or minibus can drop you off anywhere on campus, pick you up when you’re ready to return your hotel, or transport your students or faculty anywhere in Chicago. Prepare a schedule that best suits your group’s desired stops and plans, and let a professional do all the driving. Ready to reserve your ride? You can trust National Charter Bus to find the perfect bus rental plan for your travels in and around UChicago. No matter the shape, size, or itinerary of your tour group, our transportation experts will connect you to a bus that best suits your needs. Call at 312-392-0239 today for a free, no-obligation quote!